A short blurb about planning & management will go here. 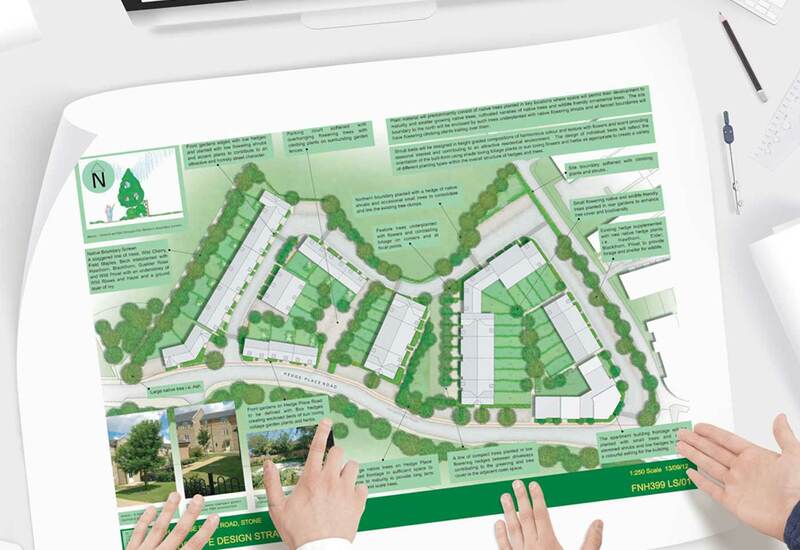 These are often a combination of written reports and graphic representations of the landscape treatment of a proposed new development and are submitted with the initial application to give the planning authority confirmation of the quality and extent of the future site landscape. Scaled drawings which describe in detail the materials, furniture, boundary treatments and planting of trees, woodland, shrubs, hedges, climbers, lawns and meadows which will make up a scheme of landscape. A document which dictates the quality of workmanship and materials involved in creating a scheme of landscape. A document which guides the future management and maintenance of a scheme of landscape. A method statement and accompanying plans which indicate the position and extent of trees and vegetation and the means to protect that which is to be retained.